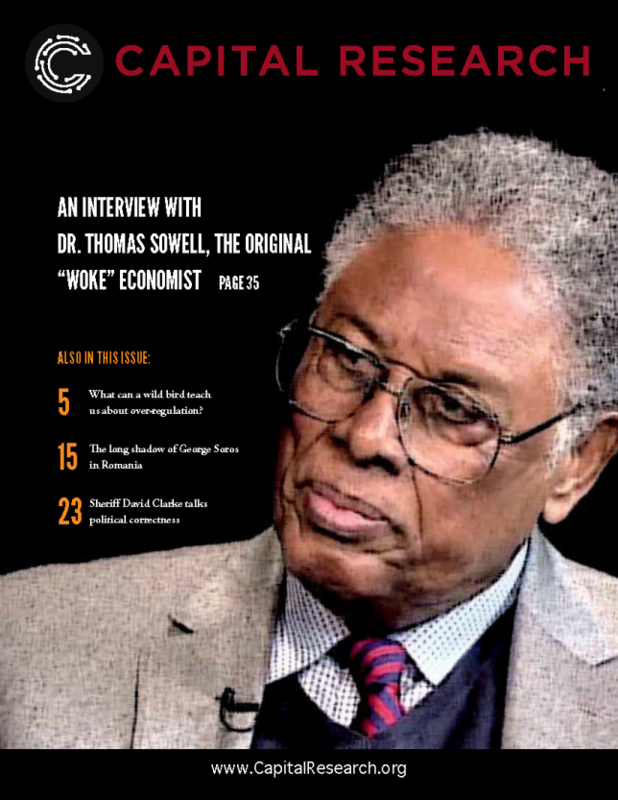 Issue 6 features no less an intellectual giant than the renowned economist, Dr. Thomas Sowell. In an exclusive interview with David Hogberg, Dr. Sowell explains the overlooked factors that explain racial and socioeconomic inequality. In Foundation Watch, former CRC researcher Jacob Grandstaff exposes the dirty dealings of George Soros in the former Soviet state of Romania. Find out how Soros’s opportunistic maneuvers radically shaped the political future of Romania, from astroturfing a protest movement to positioning his agents to infiltrate the government. What does a ground-dwelling bird in the American West have to do with regulatory reform? And how do environmental legal groups manipulate the Environmental Protection Agency to carry out their anti-fossil fuel agenda? Find out in Green Watch. In Vermont, the American Federation of Teachers pushed their luck just a little too far. Former AFT Vermont President Ben Johnson tells of the misguided attempt to unionize babysitters and early childcare educators in Labor Watch.